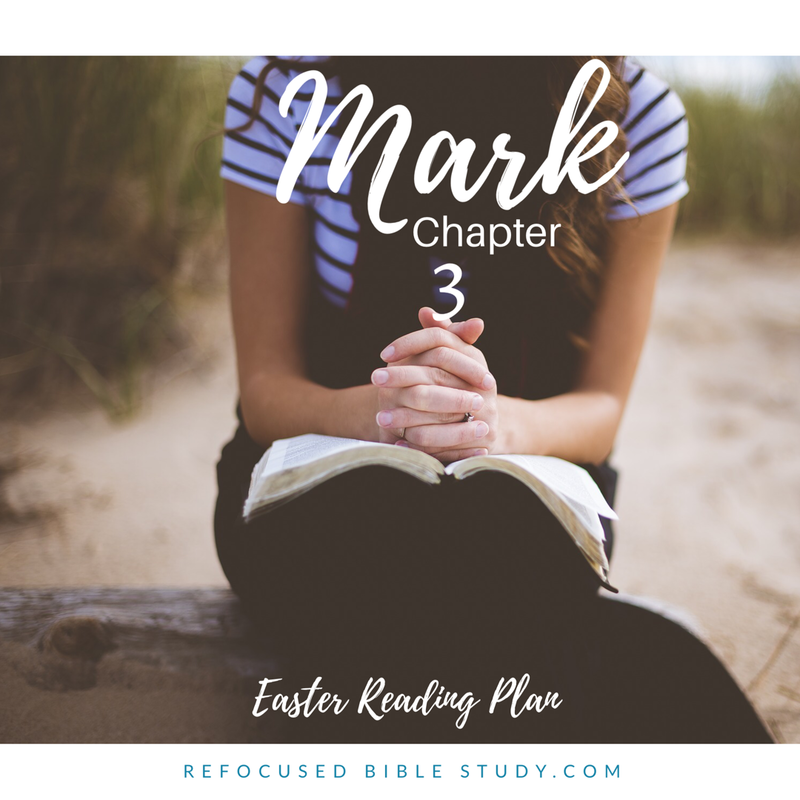 It’s day three of the “Mark, a chapter a day for Easter” reading plan! If you missed the details, you can find them here, catch up, and join us! Reading together as a family is proving to be a beautiful time. It is so inspiring to see God’s faithfulness as He reveals himself to our children through His Word. This is so special to me, because I want my own family to really know Him, more than anyone else. I’m sure Jesus felt the same. He wanted his mother, and brothers to know him as their Savior. Jesus’ mother and brothers were there, praying and believing, waiting to receive the Holy Spirit. Let’s stay focused on kingdom work (Matthew 6:33) as we keep praying for and loving our unbelieving family members. 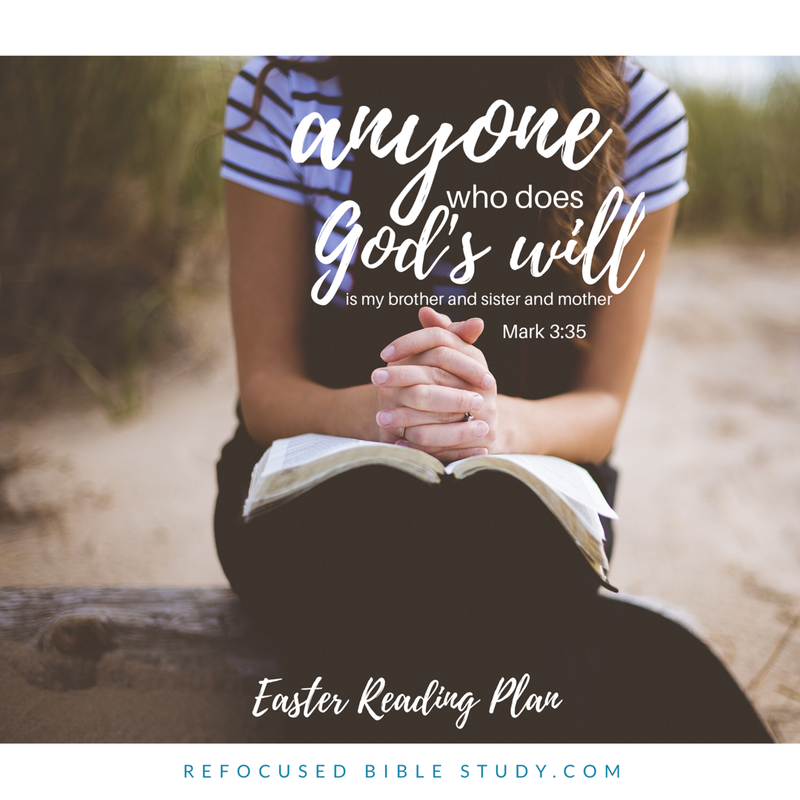 I know this revelation encouraged me to follow Jesus’ example and trust salvation of our loved ones to the Father as we continue following Him. What was your verse of the day? I’d love to hear how He’s speaking to you! Verse 35 is one of my life verses as I have struggled with the relationships I have with my brother and mom and dad. I read this and know who my true family is and it is so comforting. I loved reading this verse and imaging my brother, who passed at an early early age, sitting and chatting with Jesus! I hadn’t ever noticed that very important piece! I know “when 3 or more are gathhered…” but the family aspect is a great little piece you noticed! Thanks!